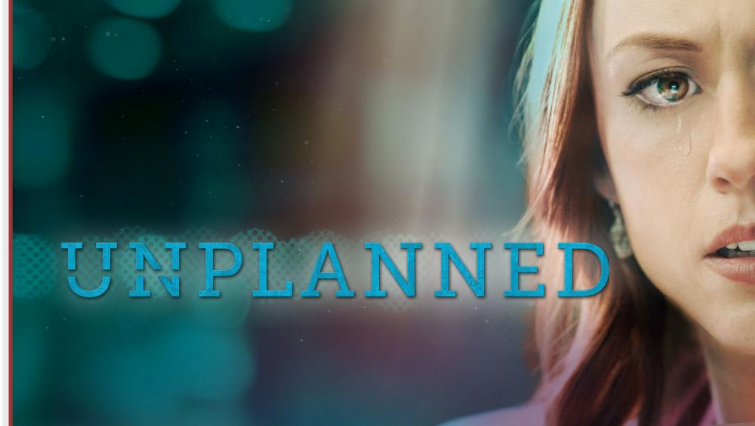 The pro-life movie "Unplanned" ended up in the top 10 at the box office for the second weekend in a row. The movie already brought in $3.2 million on its second weekend after an additional 471 theaters added the film to their showings. The movie made $6,110,000 when it debuted last weekend, according to CBN. "It's a little surreal, if I'm honest, to watch someone play out the worst version of yourself in a film"
Johnson is obviously rejoicing because of this increased attention the movie is bringing to the pro-life movement. Ashley Bratcher, who played Johnson in the movie, has shared her own "unplanned" story on Instagram. "My unplanned baby turned nine just a few weeks ago," she wrote. "My high school sweetheart and I could barely make ends meet when he was born. I was on Medicaid and WIC and it wasn't uncommon to see our bank account in the red. Was it hard? Absolutely." "But the best things in life are worth fighting for and this little man has taught my husband and I more than any other human," she added. "Having our son empowered us, it made us better people. We learned to love unconditionally." "Today, this little dude is my Star Wars binge watching partner, my Mario Kart compadre, and most importantly my little prayer warrior," she continued. "He wants to be an architectural engineer, loves science and drawing comics. He continues to teach us so much about life every day. " "I'm so so so proud of this little human and the incredible boy he is becoming," she concluded. "As long as my God holds the world in His hands, I know that there's no such thing as Unplanned." Bratcher also shared on Twitter that she hopes her own story will encourage other women.